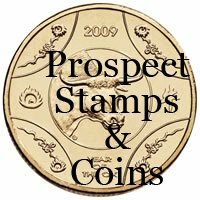 The Royal Australian Mint has released a set of coins for the Year of the Ox. This is the third set of coins for the chinese lunar calender. The year of the Ox people have the following traits: dependability, calm, patient, hardworking, steady, modest, logical. 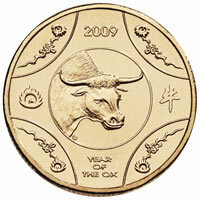 The year of the Ox bronze Uncirculated coin comes in a red cardboard sleeve.